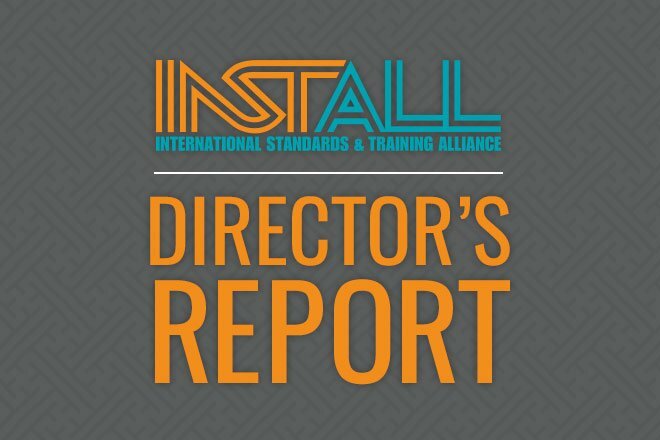 For thousands of installers and contractors around the country, August deadlines will test their patience and training. Not only is demand for installation professionals at its highest, start dates are often pushed back, the labor pool is stretched thin and the sweltering summer heat means it’s no picnic for workers on the job site. Completion pressures and looming deadlines only add to the stress. “This truly is hell month for the commercial floorcovering industry,” says Marty Murdoch, executive vice president of M.E. Sabosik Associates. During this busy time of year, I’d like to take the time to recognize the dedication and perseverance of our INSTALL employers and representatives. They have worked hard to build up their crews, recruit new installers and bring in new apprentices in preparation for this demand. Admittedly, August is not an easy month for them or their customers, but they are the best and most reliable teams to deliver the project on time, on budget and done right the first time. That’s the INSTALL Advantage, and we couldn’t provide it without your hard work.